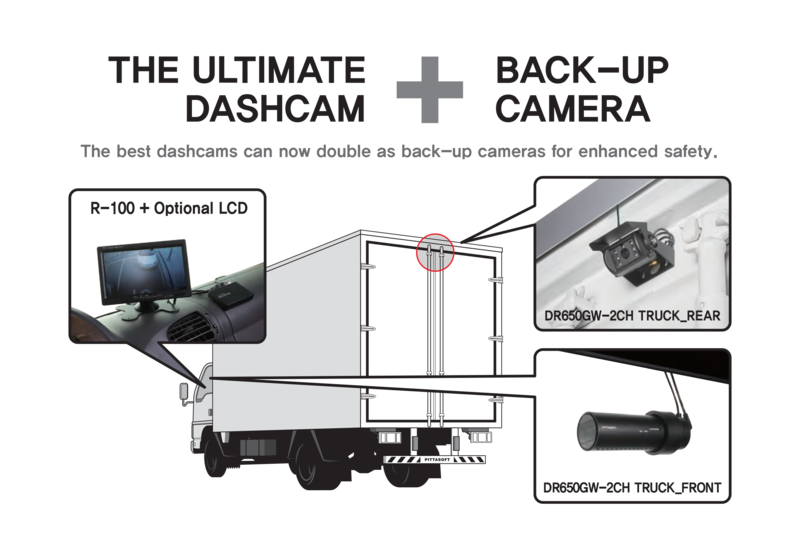 The system works by continuing to function as a dash camera, recording & storing video as usual. While the rear camera’s video feed will appear on the LCD screen once your car goes into reverse (installation required). Alternatively you can also have a constant live feed showing up on the LCD screen to give you constant surveillance of the rear. Like a reversing camera, the R-100 kit will reverse the image on the front display, but not on the recorded video footage so license plates are not in reverse.